Learning how to pass the NCLEX-PN might feel like a futile endeavor. You’re frustrated with all the materials you need to learn just to get a passing score. Add to the fact that anything one of hundreds of concepts could appear on your nursing exam, and it’s enough to make you feel like passing your practical nurse is just a dream. Fortunately, you don’t need a photographic memory to get a passing score one the NCLEX PN. Take a look at these NCLEX Fact Sheet Cheats, with the top five techniques that will help you pass your PN exam the first time around. Pass the NCLEX-PN The “Odd Man Out” Way: This test-taking technique embraces a tried-and-true concept that will help you power through the toughest questions. NCLEX licensure examinations – like other standard tests – often give nurses a sneaky indicator of what the correct answer is. This is especially vital for practical nurses who might have trouble solving problems because they can’t recall from your NCLEX-PN practice questions test and rationales. Look for the option that’s the most different in length, style or content. This is usually the correct one. The longest or shortest answer out of all the questions is often the correct one. NCLEX questions are designed to test your knowledge of patient safety. If a question asks what is “essential,” they’re asking you what is most safe for the patient. When setting priorities for a patient, always remember Maslow’s Hierarchy of Needs. That means safety, food and water come first before any other need. Consider what actions you could take to avoid additional complications. Using the “Essential Mantra” can help you find the correct answer. Use The “Opposites Attract” Method: This test-taking technique is a method you can use to pass the NCLEX-PN without studying. If you’re stuck on the answer to a question, take a look at the choices available to you. If two answers are complete opposites – like “elevate blood pressure” and “lower blood pressure” – the answer will be one of these two. This can help you narrow down your choices and increase your chances of getting a passing NCLEX-PN score. Pass The NCLEX-PN By Avoiding Absolutes And Embracing The Qualified: Absolutes can spell a death sentence for your NCLEX pass rate, and for good reason: they’re “always” the wrong answer. You’ll know these when you see them, as they usually include the words “always,” “never,” “all,” and “none.” On the other side of this, qualified answers are usually correct. You’re practically guaranteed that answers that include the words “usually,” “frequently,” and “often” will correct over answers with absolutes. Look For Strategic Words: If you still need help determining the ideal answer to an NCLEX-PN question, look to strategic words in the question for guidance. A strategic word will often indicate what the answer will be, as it will tell the practical nursing student how to prioritize the choices. These words can often be easy to miss unless you practice looking for them. Therefore, consider reviewing your practice test questions and rationales to get used to spotting these strategic words. While it’s important to research and review content for the exam, it’s just as critical to learn the strategic test-taking techniques the National Council of State Boards of Nursing include on their exams. 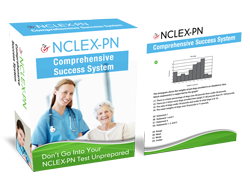 This combined effort can help skyrocket your ability to easily pass the NCLEX PN. Go to: How To Pass Your Practical Nurse Examination now.